No one likes to fail, and I’m sure it’s hard to see how it could possibly double your income. However, those scrapes and bruises could define your ability to make it through a rough time. With the economy as turbulent as it is today, this type of skill could prove invaluable. When you learn the consequences of your actions, you became a stronger person that is able to stand up to adverse times. We’ve all faced our share of tough lessons. There are very few of us that just woke up one day and had it all planned out and were ready to go. I was one of those people that took about 30 years to figure out how to get out of debt, double my income, or just simply do something I love. I have been married and divorced. I proposed to a lady a few years ago who turned me down when I was in the height of my career. I was side struck and devastated. I honestly never saw it coming. I moped around for over a half a year before I met Karyn. Karyn was the lady that I had wanted to meet my whole life. I got down on bended knee in front of an audience of 100 people at a life-transforming seminar in Hawaii recently. She said “Yes!” I couldn’t be happier. I would never have experienced this type of joy if it hadn’t been for my previous “failure”. Thirty years ago, I started applying for jobs trying to figure out what I loved. I had my heart set on this job for six months. When I didn’t get it, I was a wreck. The truth of the matter is that I never would have gotten the job making a speech that launched my career as a teacher and mentor. In all likelihood, if I had gotten that job, I would still be working 60 hours a week and a very unhappy man. This failure launched me to the level of success that I enjoy today. Not all failure has to be bad. 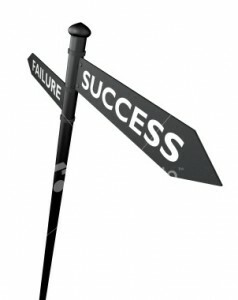 Take those failures and use them as your new set of skills to identify the things in life that really matter to you. I know that during a tough time, the chances to double your income may seem dismal, but you have to start somewhere. Some of the greatest opportunist rediscovered the Law of Attraction and positive thinking during tough times. Did you know that Napoleon Hill wrote one of the best-selling books of all time, Think and Grow Rich, during the middle of The Depression? He ended up creating a formula for some of the most influential teachers. Franklin D. Roosevelt was even known to employ his advice. Let’s get started down the road of success together. Take this turbulent economy and make an opportunity of it. Learn how to solve your problems. When you or your friends start to complain, take a different approach. Try to find a solution. The ability to double your income depends largely on your ability to move through a situation with strength and courage to do what you love. I’ve personally found that failing is the best way for me to figure things out. The faster I fail the faster I can get to the actions that lead to success. As long as I keep the cost of failure low, I’m in good shape. I’m glad that failure didn’t get you down!